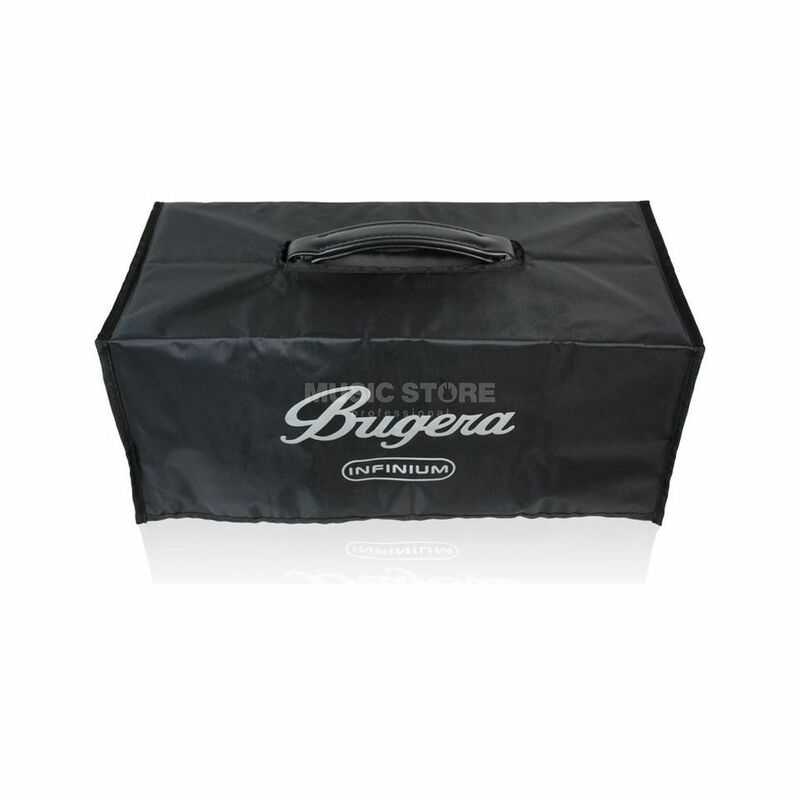 The Bugera G20 PC Amplifier Head Cover is an amplifier cover for the Bugera G20 Amplifier Head, made from black nylon with a custom handle opening. This is a rugged black nylon protective cover that is custom-fit for the Bugera G20 Amplifier Head, protecting it from harmful dust and moisture. A custom-sized opening for the handle allows for convenient transportation.